Woo! Keep at it! I eagerly await the finished article! Hehe, if you do reference to the image at the top of my last post, it was a image took on the internet to compare the back of the car that I have modeled. Oh! This is all done with PhotoWorks! Thanks for the comment! It's appreciated. I don't know if some people would be interested about a video tutorial, maybe for the wheel/tire combo..
A video tutorial would be great, wow didn't know photoworks can give such good results too. that almost looks like vray results, the one with the details on the walls of the tires. I would like to have a tutorial of the surface modeling of the back and the rendering process. It's very interesting to see your progress. 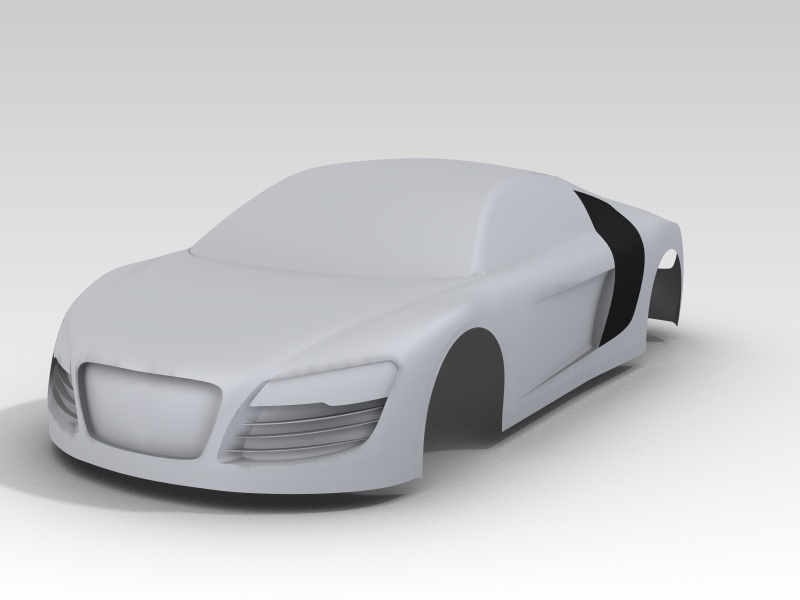 I'm modeling R8 too, but stuck a little bit. What is your technique of modeling, do you use 3D sketches or projection curves? You start with the primitives and then add details? Please share your tricks. You could write PM. Oh, I've missed your post! I'm using projection curves for the big surfaces but you can also use 3D sketches, it will give the same result. If you use 3d sketch, you can set you screen to have four-view (right, left, top, iso) so you can draw your 3d sketch without any problems. Like you said, I start with the primitives and after that I add the details. I will update the thread soon, I've progressed a little bit lately. Oh Fab, your R8 looks great! Nice piece of work. Maybe I will do some video tutorials if there is interest. To everyone, let me know with a post here or with a private message. I've not updated my topic lately, I had to modify some key surfaces. This is a quick render about where I'm at right now. audi r8 finished ? Can you please upload the tutorial?? I m modeling audi r8.. I'm very interesting in your model. If you are free to make a video tutorial,that will be very helpful for us.